Print your logo onto these custom printed magnetic whiteboard with notepad (a3) or one of our other innovative magnetic display tools and use them in your next marketing campaign as a unique giveaway item. Custom printed promotional magnetic whiteboards at 420 x 297mm size (whiteboard marker pen NOT included) are great ways to leave messages in the home or office. Combine this with a magnetic whiteboard marker & bagged to complete this great product (at extra cost). Great for consumer promotions, for retail promotions or to use as shopping lists and message boards. Great combination product with magnetic backing for fridge or office environment. Price includes full colour print on magnet and one colour black print on notepad. Magnet is done via digital process printing. Production time begins after all approvals. Add a marker or pencil & clip (no print) for an extra $0.80 per unit. (This quick turnaround promotional item can be produced within 1-4 days - rush fee of $0.60 per unit applies). Custom brand these custom cardboard thermometers or one of our best-selling promotional magnets»magnetic display tools with your company logo! 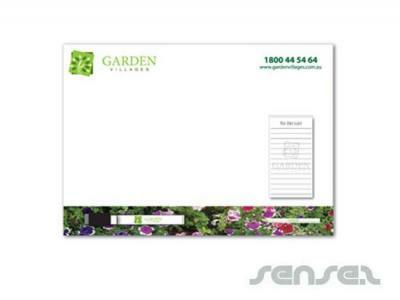 Your promotional magnetic whiteboard with notepad (a3) can be silk screen printed in 1 or more colours. Costs shown include a 1 colour logo print on your custom branded magnetic whiteboard with notepad (a3). We can print more than 1 colour, however it incurs extra costs. We can achieve a perfect PMS colour match for the print. Personalise your magnetic whiteboard with notepad (a3) or custom design magnetic display tools for your marketing campaign. How can these unique promotional magnetic whiteboard with notepad (a3) or our personalised magnetic display tools fit in with your marketing strategy and help you maximise your brand exposure? Our custom made Magnetic Whiteboard With Notepad (A3) can be produced from a minimum quantity of 100 pieces. We can have your logo branded on these corporate Magnetic Whiteboard With Notepad (A3) in 1 Colour Silkscreen Print or Full Colour Digital Print. A setup fee of AU$180.00 will apply to make the film. The delivery time is 0 - 1 weeks from time of your order.